Video games are works of art. Any gamer will tell you so. Luckily, there are people who not only agree, but have dedicated their time and sometimes their lives to preserving the history of gaming and video games. These museums are must-sees, so keep reading to decide where you should make your next gamer-pilgrimage. The National Videogame Museum is new, just opened in 2016, but they have a fiery passion for the industry. Started by three guys with their own personal collections, they aim to preserve the history of video games for generations to come. They know that many of the creators of video game consoles, like the creator of Atari, never were able to see just how influential their ideas became. They aim to educate about the history of the community, but also aim to allow their games to be played. They acknowledge that appreciation and enjoyment of video games come only through playing them, so they vow to allow museum visitors every opportunity possible to play the exhibits they have on display. Make sure you check out the museum's ultra-rare Atari Mindlink, one of only two controllers of that type to exist in the world. If you’re surprised that MOMA has an exhibit devoted to video games, join the club. What MOMA is most interested in is the pure aesthetics of video games, focuses mostly on their mechanical and contemporary design. The collection does tend to lean more toward the classic 8-Bit games, to pay tribute to the visionaries who brought such games to light. However among the display you will find such groundbreaking games as The Sims and Simcity 2000. Be sure to take a look at their Tetris game, which runs on an Apple computer that is a dead ringer of the 80’s soviet era computer the game was developed for. Way more to offer than just kid’s stuff at the Strong! This museum has a little bit of everything. 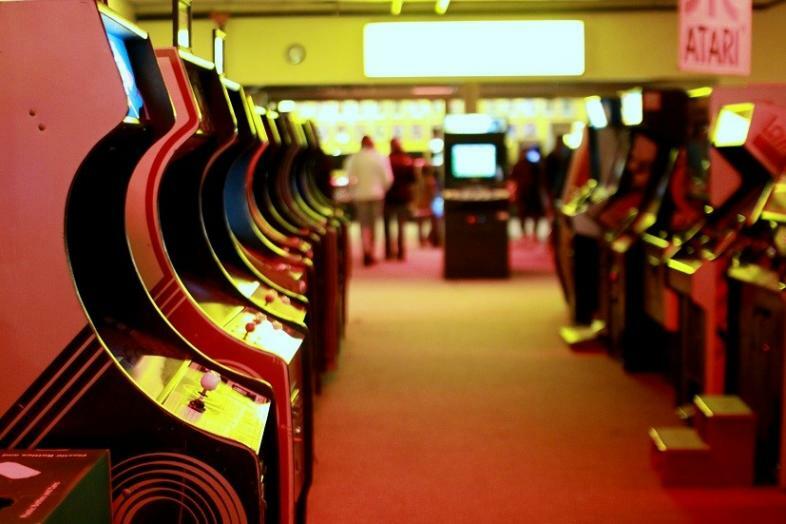 Fully interactive exhibits and the history of video games you might expect. But would you expect a whole room devoted to virtual reality? What about a Minecraft room? You get the chance to sit with their game inspectors to view how a game is made, and even test ones that aren’t on the market yet. If you have a little one who is interested, you should also definitely think about signing them up for the museums “pixelhead” club, which offers a kid’s beginner course for video game design. They offer memberships beyond the daily admittance of 10 bucks. If you want to play all year its only 50, and a family membership is a mere 100 dollars. Chump change considering they have over 5300 playable games. It will take you at least a year to get through all of those. Are you the one that will create the next big thing in gaming? The MADE hopes so. Devoted to “amusements from the past” this museum is home to over 100 old-school pinball and arcade games. This museum considers the games to be a sort of scrapbook of America, and a marriage between art, science, and technology.The best perk at this museum is that you can leave the quarters at home. All the arcade and pinball machines are rigged for complete free play and included in the price of admission. Want more play time than just a day can offer? They have memberships that are $49 bucks for the month and 249 for a full year. Can’t beat that. The location of the largest known collection of computers and videogames in Canada. The large purpose of the museum is to showcase the evolution personal computers have, made in just a few decades. Over 45 machines are interactive and fully on display for visitors. They also house a smaller, but still decidedly cool collection of video games. Of note, the ultra-rare “Extra Terrestrial” game cartridge that was developed in 1983 and became a commercial failure due to their complete unawareness of the similarly named “ET” Atari game. Currently open to the public one day a month, this museum is run by volunteers and offers free admission. Free admission and computers that still work. Best private musuem ever! Gaming has a long history, much of which exists only in the fond memories of childhood. Popping a quarter in the machine for one last match against Donkey Kong, firing up the GameCube on a Saturday morning getting ready to decimate your opponents in Mario Kart Double Dash, or spending hours on a rainy summer day building the best life ever in The Sims. Luckily for us, there are people dedicated to the preservation of those memories. Not just museum curators, but gamers who build up their own personal collection and turn them into museums, like a few mentioned in the list. They dedicate a large part of their lives so that we don’t forget what it was like to see the opening screen and hear the first jingles of the tune to our favorite game.